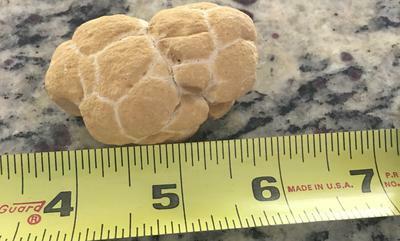 Found this specimen in Central Florida in a phosphate mine amongst many other fossils. By the color as seen in the picture, it is a mustard yellow/brown and solid. Can you help me identify this please? Thank you! On page 45 it shows fossils common to that area the body section of the crab is very similar to your fossil.